The only one-stop shop for weigh station bypassing and tolls. We guarantee you're gonna love it! *No minimum enrollment requirements and no long term contracts. Start Saving Time, Fuel & Money Today. Call to find out how PrePass can keep you rolling. Save TIME. PrePass customers save at least 5 minutes with each successful bypass. As a result, PrePass customers have gained nearly 54 million hours of productive driver time by reducing weigh station stops. Save FUEL. PrePass customers save nearly one half gallon of fuel per bypass. Since 1997, Prepass customers have saved over a quarter billion gallons of fuel. Save MONEY. An FMSCA report calculates a savings of at least $8.68 per bypass. PrePass carriers have saved more than $4 billion in operational costs since 1997. PrePass is North America’s most trusted, most reliable and most widely utilized weigh station bypass and tolling service. 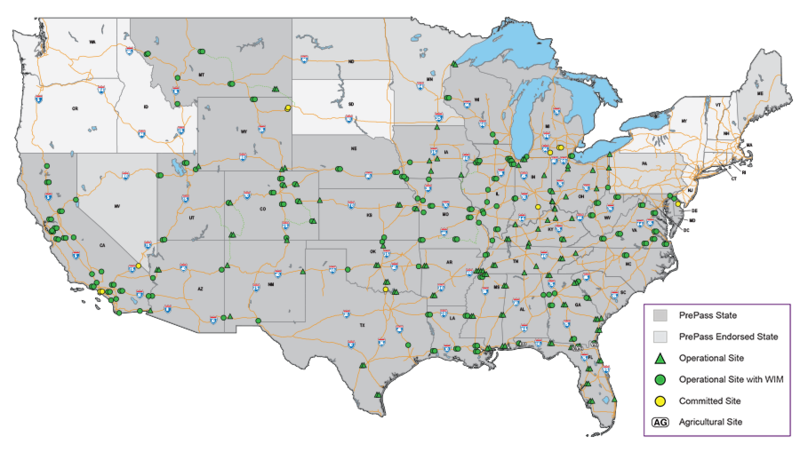 Nearly 50,000 qualified fleets and over half a million trucks use PrePass to comply with safety, weight and credential requirements while traveling at highway speeds, eliminating the need to stop at designated weigh stations and ports-of-entry across the U.S. With PrePass Plus, drivers can electronically pay tolls at hundreds of locations. Whether it’s saving you time, fuel and money at weigh stations or effortlessly paying tolls electronically, PrePass is the ONLY pass every qualified commercial motor vehicle needs. Coast-to-coast, border-to-border and growing all the time. PrePass is the gold standard for safety, efficiency, reliability, and privacy. Manage CSA risk by qualifying for preclearance and maintaining a good CSA score. Maximize hours of service by reducing time spent waiting at weigh stations and toll plazas. Avoid congestion around weigh stations and reduce risk from merging into and out of traffic. 99.9% accuracy is our standard. 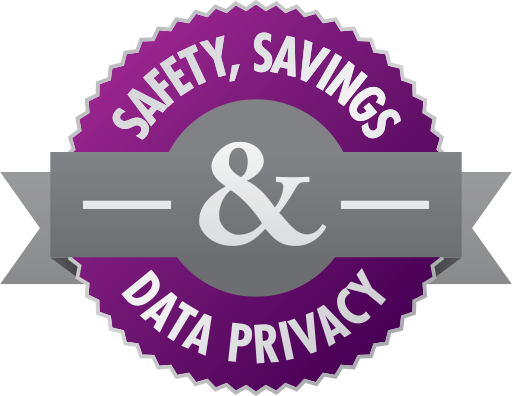 Data privacy is guaranteed, giving you peace of mind that your private data will remain private. Now offering MORE coverage in MORE states for fleets of ALL sizes. PrePass Plus is the ultimate one-stop shop experience -- one transponder, one customer care center and one invoice for all of your weigh station bypassing and toll payment needs. No other provider offers the same. One device is all you need. No long toll plaza lines. No waiting. No stopping. No kidding! Volume and electronic price discounts without multiple accounts. Eliminate the need to carry cash or retain toll receipts. Hassle-free management of disputed tolls. We work on your behalf to reconcile disputed tolls. No need to maintain a prepaid account balance. Consolidated billing statement and centralized customer service. No miscellaneous or hidden fees for transponders, shipping, account activation, account management or credential changes. Our valuable PrePass customers say it best! Stephanie Klang, Professional Driver with CFI, explains how PrePass helps her make every minute count. Collin Stewart, President & CEO of Stewart Transport, knows that his drivers need every minute they have to get their job done. PrePass helps trucking companies like his save drivers’ time. Tom Crawford, President & CEO of Missouri Trucking Association explains how PrePass is an important part of the Missouri trucking industry.